Fun & Easy Male Tie Card! I am back with another project for you! Sorry that i have not been around since Sunday, i have been so busy getting all my January Craft kits packed up & posted out. I have also had some issues to deal with at home to so didn't really feel like doing much crafting. I think you will like today's project! Well i hope you do, i love it & i think you can tell from the picture what its meant to be. 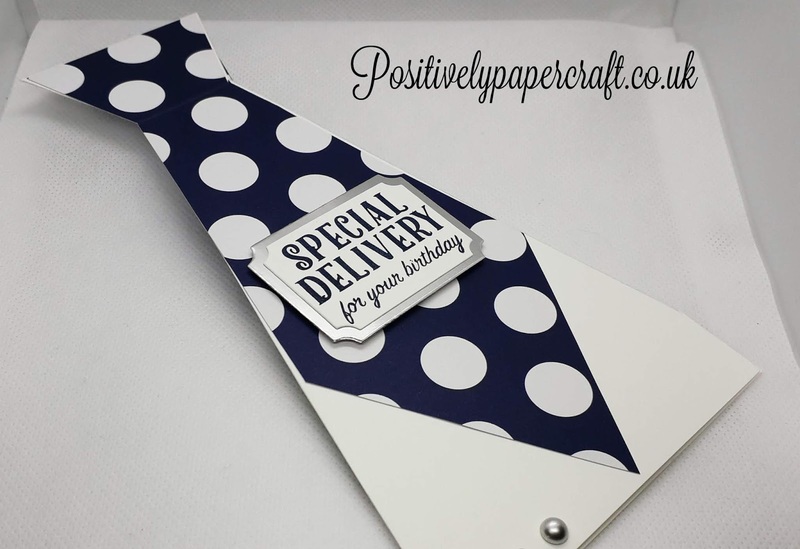 This fun Tie card would be perfect for Fathers Day or any Male celebration. Its so novel and really quick & simple to make. It stands up perfectly & i think whoever receives one will love it. You don't need any Dies to make this card, just a Ruler, Pencil & some Scissors!! Obviously you will need paper & card etc. I do recommend using a thick card card base. With the card being quite 'slim' it needs to be stable, a 250 or 300gsm card should do the trick. You could have so much fun with this card & i really think it might be one that you make more than once. I think it would look so elegant if you made the front 'Tie' from plain card stock and then heat embossed it with Gold or Silver embossing powder. Like i said, you can have lots of fun with this one. 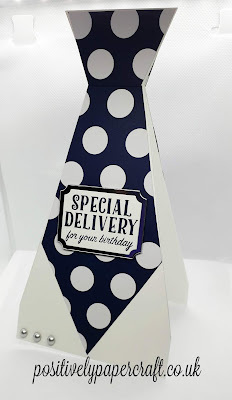 2 X THICK CARD STOCK MEASURING 4 X 8"
SCORE BOTH PIECES ON THE LONG SIDE @ 2"
ALONG THE SCORE LINE MARK @ 2 3/8" & 3 5/8"
DESIGNER PAPER X 2 MEASURING 3 7/8" X 7 7/8"
Please check out my Youtube video which you can find a link at the end of this blog post. Thank you and i will be back on Sunday with another project. Loved this card for birthday, father's day or "just because". Thanks a lot! What a wonderful card for a guy! Your instructions are clear and concise and you have motivated me to give this card a try. Thanks very much.